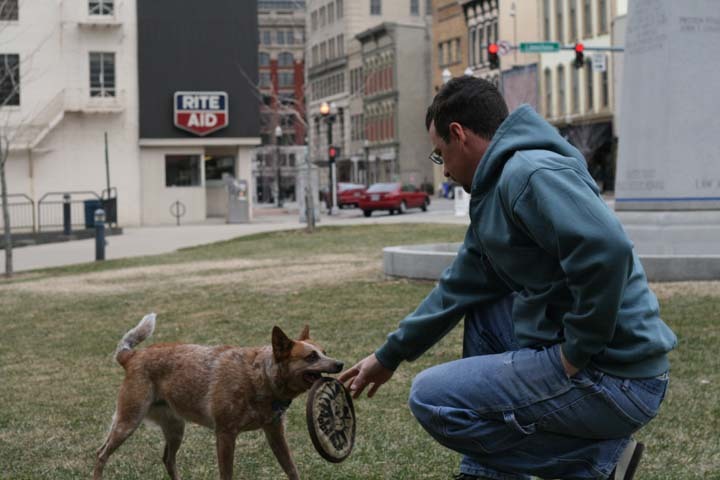 Before watching the UK game on television, Greg and I went downtown to the park across from the court house to see who was out spending their Sunday morning there. 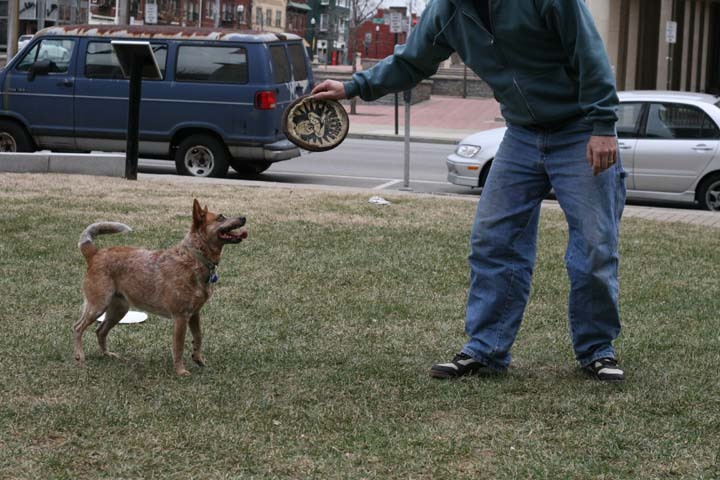 There, we found James and Richel Whitley and their dog Pippy. 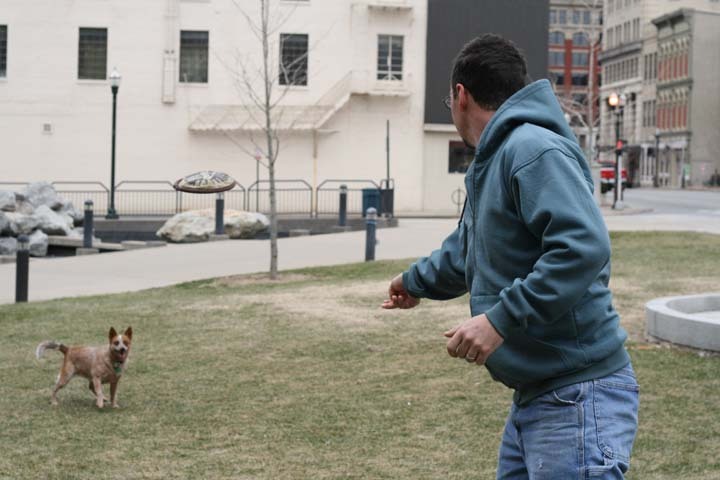 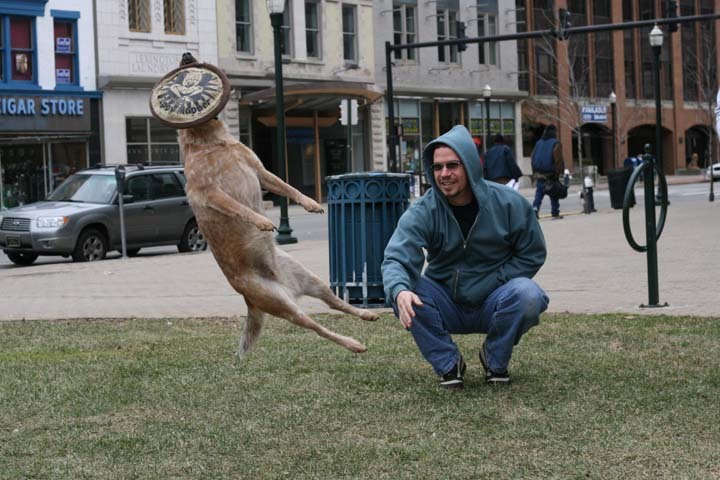 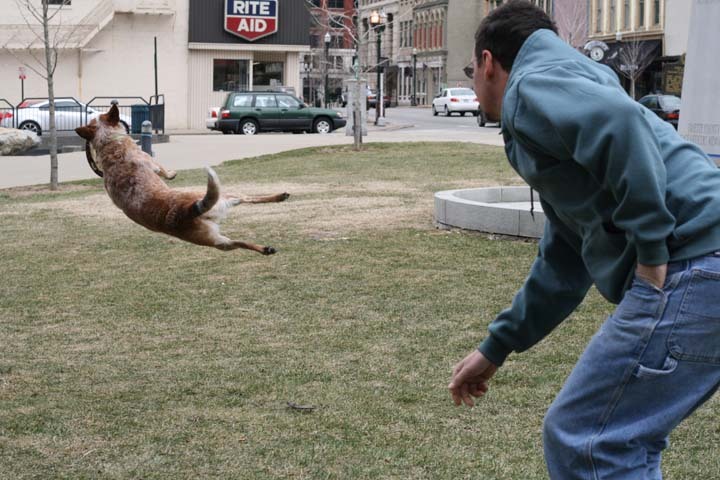 Pippy is a three-year-old Australian Red Heeler and an up-and-coming frisbee player.